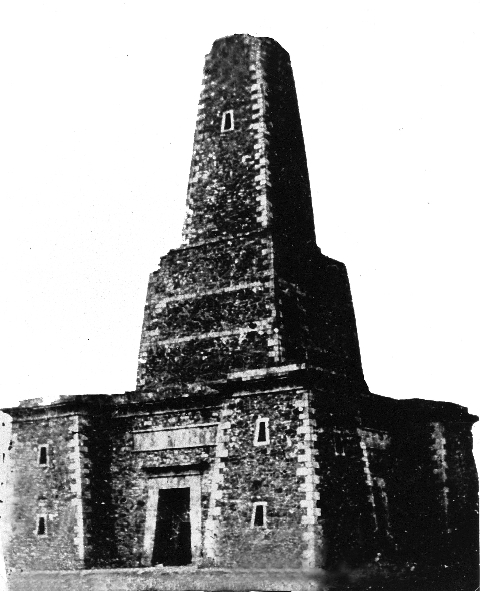 Over the years, with plenty of people visiting The Jubilee Tower. There have been ‘sightings’ of strange figures on Moel Famau. I myself am quite a sceptical person. I believe sightings of Ghosts, Phantoms, Ghouls, Spirits, Fairies and any other otherworldly apparitions can be justified with logical solutions. But that’s just me, I need convincing. Maybe I should spend the night atop Moel Famau, let the cold wind blow past my ears, the pitch black cover my eyes and then my mind would probably wonder to all kinds of dark places. NO THANKS! I’d much rather read some local paranormal sightings and deconstruct each one to try make sense of them, or maybe Moel Famau is the home to many wandering spirits. So here we go, this is…. Tom’s Top Jubilee Tower Ghost Tales. This was posted in 2009, the only information given on the witness is John From Flint. “About five years ago my Girlfriend and I Walked up to the hilltop at Moel Famau. We were the last people there as it was getting towards about 7.30-8pm. As we approached the steep hill just before the memorial we saw a young woman in a light blue dress dancing on it. We were surprised as it was very cold up there on top. But what surprised us most of all was that in less than one minute as we arrived and were standing on the top, the woman had completely vanished! I looked on all sides of the hill but there was no sign. Ok …………….so John is walking toward the Jubilee tower sees a girl ‘dancing’, gets to the top and shes gone……… must be a ghost! John specifies it was less than a minute for the girl to disappear. which could be any time between 1-59 seconds and he was probably exaggerating as most people do in these situations, anyway I’ll take his word on it. 50 seconds is more than enough time to walk down the jubilee tower, as well as the girl clearly being in top physical strength to bust out dance moves atop Moel Famau. Even if we don’t really know she was dancing she could have been being pushed by the wind. John states it was between 7:30-8pm so I’m guessing it was getting dark, vision would have been low. I’m not 100% convinced by this I’m afraid. If by the off chance you read this John of Flint please get in touch, I want to hear the story from you. If anyone else has more information on the mysterious Dancing Woman or any other Ghost sightings on Moel Famau, please let me know. Come on people Prove me wrong! 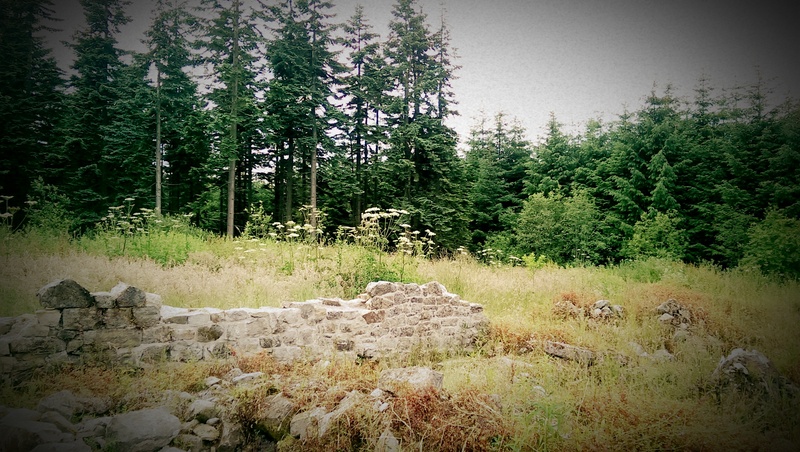 In the 1960s as part of a planting program undertaken by the forestry commision, a 300 year old Shepherds Cottage in Nercwys Forest was demolished. Explosives were used to destroy the cottage the explosion must have rumbled through most of denbighshire. After the demolition the cottage was left abandoned as a heap of rubble and in this condition it had been until several years ago when the AONB, along with the Forestry Commission and volunteers began works on cleaning the mess left behind all those decades ago. The first step of the clean up began when the trees and stumps around the cottage were harvested to make way for a wildflower meadow just in front of the cottage. A dry stone wall was rebuilt and the rubble inside the cottages walls was removed to show the original layout of the cottage. A couple of months ago I joined the AONB volunteering team at the cottage to help out with the conservation it was a hot day and our first job was to dig out the invasive plants in the wildflower meadow. This would give the flowers more of a fighting chance to flourish. ‘Easy job’ I thought a bit of weeding in the sun what could be easier? This is what I said to myself before I knew how long and deep the roots of a Dock leaf go. Seriously, you could have the smallest leaf and the roots would go so deep you’d need a shovel to get them out. After weeding the meadow we headed up to the Cottage, It was my first time seeing the Cottage and the immediate question raised is why the cottage was just left in the state it was for all those years? The work already undertaken by the AONB was evident, a wall had been raised to emphasize the original layout of the cottage and to give visitors a feel of the place. Speaking to one of the country rangers the next stage of the project was to continue more limestone walling. An orchard is to be planted inside the walls of the cottage. Our job on the cottage was cleaning up one of the rubble piles and separating the old rocks with the original bricks of the cottage, a glamorous task, thats made even more difficult with the sun glaring down on your back! We pushed on and managed to dig out quite a large mound of earth and rubble all overlooked by a nice pile of bricks we managed to stack (it’s the simple things in life) The bricks are to be used to make a path that will wind through the orchard, pretty resourceful! On the 18th of June I joined the volunteers again at the Nercwys Cottage. After working there just once I felt attached to the place and want to see the area in its full potential. The cottage is a hidden gem in the middle of the forest and the plans in mind for the area are well thought out. To make something pleasing out of the destruction of an old building is a long yet rewarding process and feels something great to be a part of. Anyway, it was a Wednesday on my second visit to the Cottage I hadn’t been back since the last volunteer day in April we walked up past the meadow and headed to the cottage. The wildflowers in the meadow had bloomed over the weeks and it looked great. The job this time was to clean some of the walls of the cottage to get them prepared for some limestone walling. Wire brushes and trowels were our go-to tools on this day, essentially scrubbing all the overgrowth off the walls. After a couple of hours cleaning the area we took a step back just to have a look what we’d done, you don’t really notice the bigger picture until you take a breather. We had made quite a difference you could see the original brick floor of the cottage and the walls were now ready for the Limestone walling. We had an early finish at the cottage that day, I will also be heading up there again soon to take part in the Limestone walling. I think the more volunteers that could help the AONB the sooner work on the cottage can progress – it’s all for a good cause. Today I was planned to meet with Sue Vaarkamp who makes the cakes we sell in the hut.I began the day quite nervously, as I hadn’t done anything like this for a while and it would look quite bad if I managed to mess this one up, as it was the first interview I’d done for the company. I drove to my bosses house with the assumption that the interview would be at some point in the afternoon, which would give me plenty of time to prepare and gather myself for it. I arrived at my boss’s house at 9 O’clock. “The interview will be one hour.” she told me “oh.” No bother I’d just have to do a quick plan and then be out the door. I punched the address into Google maps, which is always a risk In North Wales, but I like to live dangerously.Thankfully Maps was on my side and I got to Mrs Vaarkamp’s house with no trouble…. well it took me to the next farm along but I deduced my error and brushed it aside. Mrs Vaarkamp’s house was a beautiful red-bricked, white window-pained dream. Waiting for me in the porch was Mrs Vaarkamp. The first thing she mentioned was me shooting past her house in my car heading the completely wrong direction; (I thought I’d got away with that one too. )Mrs Vaarkamp offered me a cake and tea which would have been foolish to decline, already seeing her products being sold like….well… hot cakes, in the hut. “That’s Chocolate and Beetroot” she declared to me as I was taking a bite into the soft, spongy cake. It was nice too, I never knew ingredients like that really complemented each other so well, but it’s precisely these kinds of ingredients that Mrs Vaarkamp prides herself on. 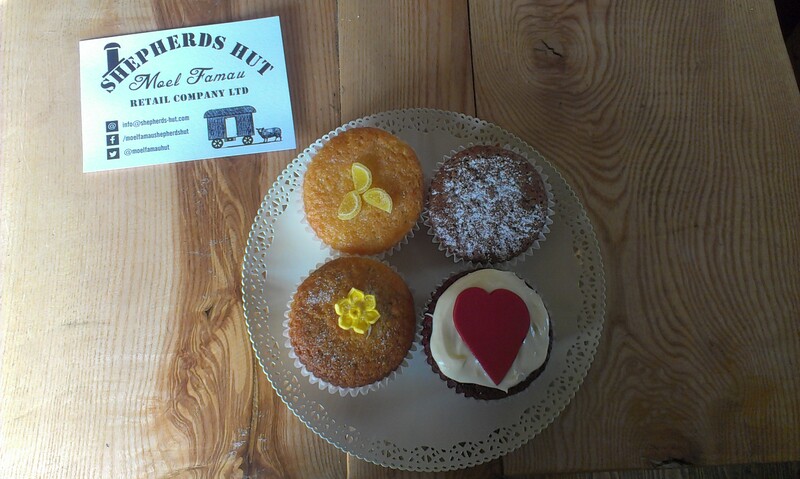 She told me of the many unique flavours she likes to work with using conventional Welsh recipes, but adding her own stamp on each cake she makes with passion and a genuine love for baking. Mrs Vaarkamp went on to list some of the more unusual cakes she has in her arsenal. The ones that stood out were the courgette and lemon, chili and chocolate, to name a few. She also mentioned a recipe she had for a tomato soup cake which I didn’t know what to think of, although I’m certain it would be a triumph along with her other recipes. Mrs Vaarkamp uses authentic methods when making her cakes – all the work is done by hand, with no use of a food processor or artificial flavours. In her words “It’s me, a wooden spoon, a bowl and an AGA, very occasionally I’ll get a bit frisky and use a whisk but other than that it’s all by hand.” This makes the baking more personal and traditional which shows in her finished products. As I finished the cake and tea given to me I wrapped up the interview. This was my first time meeting Mrs Vaarkamp and the interview went well. I headed back to my boss’s house (going the right way this time) feeling more confident about my next meeting. Lesser known than its famous neighbor Moel Fenlli lives in the shadow of Moel Famau. (For many reasons, whether it be the jubilee tower on top of Moel Famau or the fact that its the highest point of the Clwydian range!). Moel Fenlli however has its own secrets and wonders. Once home to an Iron age Hill Fort, Moel Fenlli still shows signs of its former inhabitants. There are rumours and signs of a possible bronze age burial mound in the fort. In 1816 1500 Roman coins were found in site showing that the Fort was still inhabited in the late Iron age and beyond. 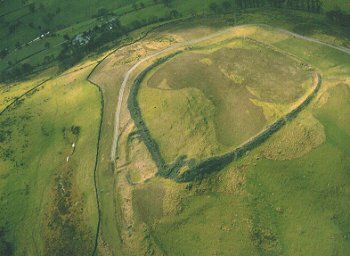 Moel Fenlli is just one of the many Hill Forts that speckle the Clwydian range. From Moel Hiraddug in the North to Caer Drewyn in the South little is known about the connection of these Hill Forts and what their purpose actually was whether for defensive or farming purposes the mystery that surround these ancient settlements is a perplexing reminder of how important this part of Wales is to the shaping of Britain today. A shorter walk but a steeper climb than Moel Famau, Moel Fenlli might be more of a challenge but the views are equally as amazing. Moel Fenlli being less known is also less walked which means your chances of bumping into other walkers is much slimmer, you could have the hill to yourself! In terms of Height Moel Fenlli stands in at 1,677 ft a close second in the Clwydian range when compared to Moel Famau’s 1,821 ft a challenge for any walker when next heading up Moel Famau’s Jubilee Tower why not also tackle the Iron age Hill Fort of Moel Fenlli. Two Blogs in I noticed I hadn’t posted my introduction, ooops. Anyway here it is, I wrote It a few months ago and have added some things I think are worth mentioning. Hello. My name is Tom, I am the newest member of the Moel Famau Shepherds Hut retail company. My official role in the company is sales and marketing assistant. 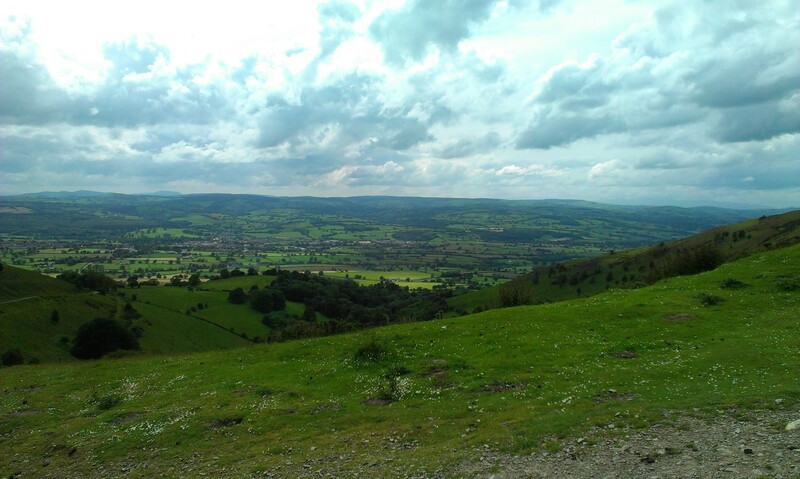 That sounds quite boring to me so I like to think of myself as more of an adventuring, pioneer of the Clwydian range. Ok, that sounds a little too much. Just call me, The Shepherds Hut Blogger. I’ll be updating my blog weekly to fill you in on the goings-on in the Shepherds Hut, around Moel Famau and the Clwydian range. As well as this I’ll be volunteering with the AONB (Area of Outstanding Natural Beauty). This will take me to places all around the area on conservation missions which you can read all about in my blog. You can find me In the Shepherds Hut some days; feel free to ask me anything about the area. I’m looking forward to meeting you all. 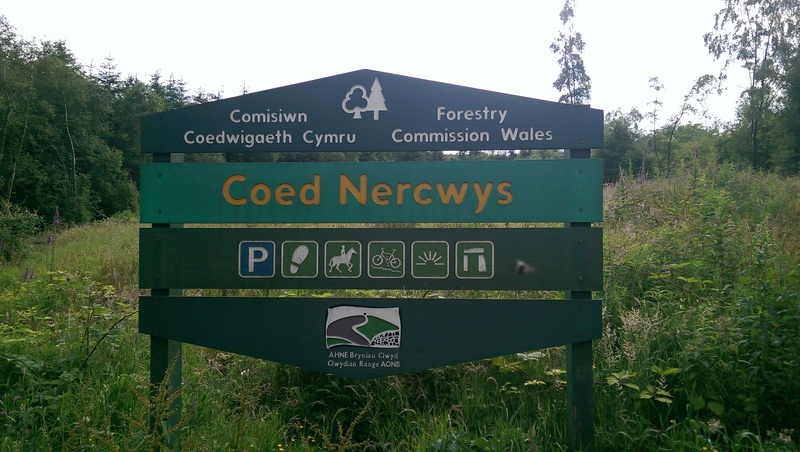 After working with the Company for 4 months I’ve had a good insight to what the company’s goals are, which is to encourage rural development through providing Information and products which best represent the area, In this case North Wales. I’ve met many visitors who Love the area and have told us how great it is to have the Shepherds Hut on Moel Famau so we must be doing something right. Encouraging visitors to visit Ruthin (the nearest town to Moel Famau) is a very important goal of ours. Many of the tourists to Moel Famau will visit the Jubilee tower and then head home, without seeing what the beautiful market town has to offer. There are many places to eat and some wonderful landmarks in Ruthin be sure to venture down into the Valley when you next visit Moel Famau. Looking towards the future, with a successful official Launch under our belts which took place in April we are now keen to start organising and endorsing events on Moel Famau. We believe that the Natural beauty and the welcoming locals of the area should be noticed more on a national scale. Hopefully with more awareness and the collective work effort of local businesses and organisations, we will be taking the right step in getting this wonderful part of the world more recognised.